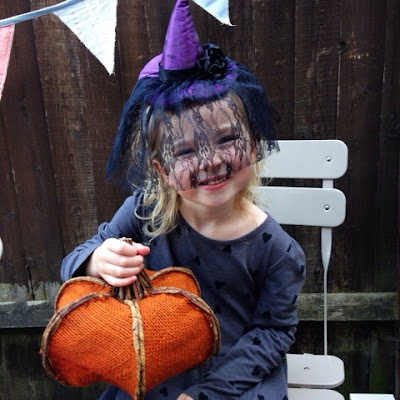 How To Do Halloween For Tiny Tots! Halloween is now like a thing isn't it? When I was little Halloween was just a daft night where the local teenagers came and scared the bejeezus out of you. Whilst you shoved a few lollies in whatever plastic bag they were holding. But now? It's like an actual big thing. And one that my girl at the grand old age of four has decided she is terrfied of. So to ensure that she doesn't miss out on all the fun? 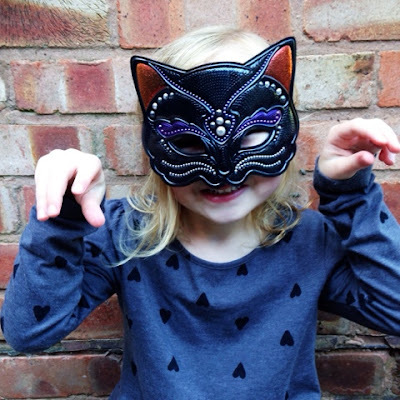 Here are a few ways that mean tiny tots can take part in the scariest of all festivals. Mwah ha ha haaaa...(insert crap evil cackle). Nothing says 'Halloween' than staying in and watching a scary film whilst you gorge on sweets and popcorn. One that is perfect for little kids is Casper. It's a lovely film about a friendly ghost and always makes me a little bit weepy (the kids seem to not notice the whole dead Mum and child element!). On Netflix you can also find some great Shrek and Alvin and The Chipmunks Halloween specials. Scary but without the 'nightmare' factor. There are some gruesome outfits available on sale in the shops now! And I tell you for free if I saw someone at my door in a Scream mask? I would weep and hide in the kitchen. Asda kindly sent me some kid friendly masks and hats. 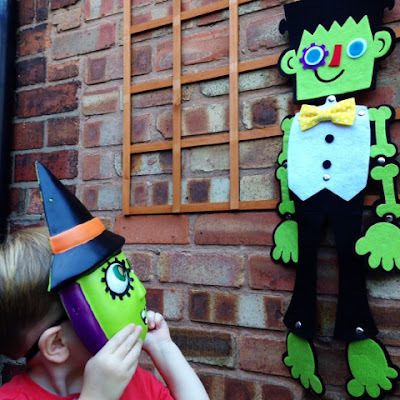 They still capture the essence of Halloween but without ensuring you kids will have nightmares for weeks to come! The masks trump anything that I wore in the 80's as they aren't made of rock hard plastic and tear your face to shreds! Again there are loads of really scary ones on offer. And as my two are really small I don't fancy filling the house with ridiculous mirrors that show a murdered woman so I will be opting for decorations that are more cartoon character based like the Frankenstein one again from Asda. I have invested a bit of cash so that I can keep them for next year too. And by a bit of cash I mean I have splashed out £3 rather than my usual £1! I don't know about you? But letting my little ones loose on random neighbours seems a little (and by that I mean a lot) unsafe. So this year I am getting together with a few Mums and sorting a route so we can all trick or treat each other. Or maybe you can pop in the car and drive to a few relatives. You still have the element of Trick Or Treating but without the whole 'stranger danger' worry. The best bit about Halloween is all the sweets. The worst thing about giving your kids LOADS of sweets before bedtime? Is that they don't sleep. So before you go out and Trick Or Treat make sure you strike up a deal with your kiddos. That they can eat a certain amount of the loot. Or you may well be spending till next Halloween trying to get them to go to bed!